How Google Assistant is about to disrupt your businessWelcome to Miquido blog! AI-powered virtual assistants like Alexa and Google Assistant are among the clear favourites to change the software development industry in the near future. The golden era of assistants is becoming a reality, and you should prepare your business to embrace it. Why is Google Assistant a big thing now? It is common knowledge that Google is the no. 1 player when it comes to search engines but it is also an owner of the most popular web browser (Chrome), mobile system (Android), online video platform (YouTube), email service (Gmail), navigation app (Google Maps), and many others. Nonetheless, they are not what Google puts most focus on currently. It claimed to transition from mobile-first to AI-first company 2 years ago, and 2018 proved that Google starts living up to its claims. Google Assistant is now integrated with almost all Google’s services, has an ecosystem already including thousands of integrated devices, and is about to change the game for good. When it comes to voice assistants there are 2 clear leaders now — Amazon Alexa and Google Assistant, with Cortana and Siri not quite catching up with them. While Amazon still has higher coverage when it comes to smart speakers alone, it cannot really compete with Google when it comes to other platforms. Google Assistant is already available for most Android and iOS smartphones and tablets which gives it a huge lead in the potential audience over Alexa. Google’s ecosystem also includes headphones, smartwatches, TVs, cars, and household appliances. You can Ask Google not only to answer a complex question or play some music but also search for a specific product and order it directly from the Assistant. It is already a tool for making consumer decisions. The Google Duplex extension of the Assistant goes even further. One of the latest features allows Pixel users to ask the Assistant to autonomously complete various tasks for them, such as scheduling a reservation in a restaurant or verifying holiday store hours. It is so convenient that I can imagine that it is only a matter of time before it becomes a standard way of dealing with reservations and placing orders. The big change is coming, and it is crucial for you to consider what role Google Assistant is going to play in how your business will connect with customers. There are already over 1 million Actions — apps created for Google Assistant (vs. 70 thousand skills for Alexa). Google Assistant is available in 80 countries and speaks 30 languages(Alexa supports only 6). Google claims that the total of 1 billion Google Assistant-enabled devices have already been sold (vs. 100 million for Alexa). Gartner predicts that by 2020, voice-activated searches will account for 30% of web-browsing sessions. The statistics above clearly indicate two things: you should consider optimising your website for voice search, and better start thinking on building a Google Assistant integration now if you don’t want to stay behind. As for the first one, the key issue is quite straightforward and can be boiled down to the fact that people don’t use “keywords” when speaking with a voice assistant — instead, they use conversational language. In order to effectively optimise your website for voice search, you need to use long-tail keywords and naturally sounding phrases — questions that people would most likely ask another person. 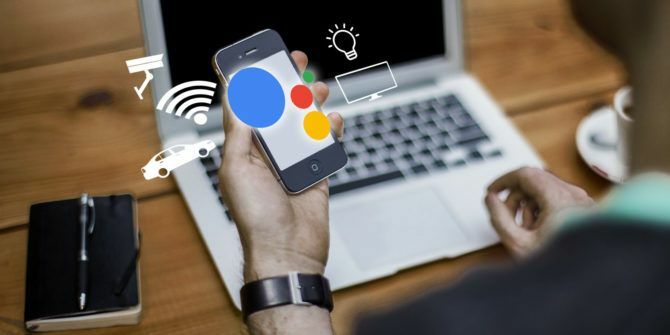 When it comes to integrations with Google Assistant, you should start considering it as another major platform alongside web and mobile that might be crucial for your business to cover. The Actions Directory already contains over 1 million Actions. These are no longer simple chatbots that can at most answer a few predefined questions. They allow for account linking (with OAuth support and Google sign in), device control, integration with 3rd party services via API, notifications, and most importantly performing transactions (including hands-free experience with Google Pay). You can easily create engaging and effective conversational experiences between users and your own service. Sure enough, the big players like Twitter, Spotify, Netflix or Uber have their Actions already there, but also smaller businesses start to see their opportunities, and emerge on this new platform. You can find countless use cases implemented; to name but a few, games, helpdesks, online shops, issue trackers, route planners, language lessons, cooking assistants and smart home appliances. The way I see it, Google assistant will become an integral part of our lives. It will accompany us on every step — it will wake us up in the mornings, drive with us, train with us, support us in our daily tasks, and help us fall asleep. More importantly, it will be the one to perform most of the searches on the web, recommend movies to watch, or book a table at a highly recommended restaurant nearby. It will be there when we will be making most of our consumer decisions. As virtual assistants are going to take over more and more responsibilities from individuals, they will become proxies on their users’ behalf. I cannot emphasize enough how essential it is for every enterprise to understand the role that Google Assistant is going to play in everyday journeys of their customers, and make sure they are providing value across all existing touchpoints. If you don’t prepare your business for this, your piece of the market is going to be eaten by someone else. In this article, I’ve just briefly touched the topic of integration with Google Assistant. I am planning to write a separate one focused on Actions and how they can be used to boost your business. So stay tuned as more about Google Assistant is to come soon.